Home » The Present Perfect Tense is the Bane of ESL Students! In the English language, present perfect tense can lead to a lot of written and spoken English errors by ESL students of all levels. For some, an equivalent of the present perfect tense doesn’t even exist in their native language! What is the Present Perfect Tense Anyway?? Ok, so let’s break it down—the present perfect tense is a grammar combo of the PRESENT TENSE + (a) PERFECT ASPECT. “Tense” is expressed by the verb form taken. The verb form taken shows WHEN an action or event happened. A present tense expresses an action going on right now, or on a regular basis, or a state or characteristic that is true—at the time of speaking or is always true. “Aspect”, is a property of a verb that affects the meaning of a sentence. The perfect aspect is the aspect of a verb that expresses a COMPLETED ACTION. The present perfect tense expresses an action that has a relationship to the present (or consequences in the present), BUT, the action or event was completed (or started) in the past. There is a link between the present and the past, there is no specific or definite statement of time for the completion of the action or event stated. It may have started in the past, be continuing into the present, and even the future. The class left already, but they are still gone, and will be gone until…? The action may have happened in the past and could happen again in the future. We ate there, but since we went more than once we could go again. The recently completed action may still influence things in the present. The students are done with their test, but that means that right now in the present they can leave class. 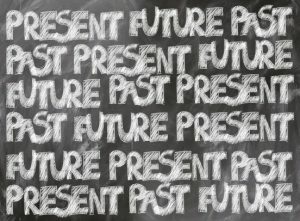 The present perfect is a tricky tense because it feels misnamed, after all, you’re talking about the past! This may be why the simple past and present perfect tense are so often used incorrectly in place of one another. It will help to think about the “perfect” aspect of the present perfect tense—it’s perfect so it must be done, completed, right? Something can’t be considered perfect in an incomplete state, can it? Then remind yourself about that present tense part, must be happening now, yeah? Look online for examples of present perfect tense sentences and practice them, breaking down what’s being expressed in the sentence. With attention and practice, your present perfect tense worries will be a thing of the past.